There are 95 spots in the Financial Times ranking for the best management schools in Europe, and only four of those are Portuguese. Two of them made it to the Top 30, and one of those jumped 17 steps at once. Nova SBE is still at the Top 30. ISCTE has made it to the ranking for the second consecutive year, and this time, it improved its rating by 17 positions, now placed 63rd, immediately above Porto Business School. Invicta’s university comes 62nd, having ranked 65th last year. 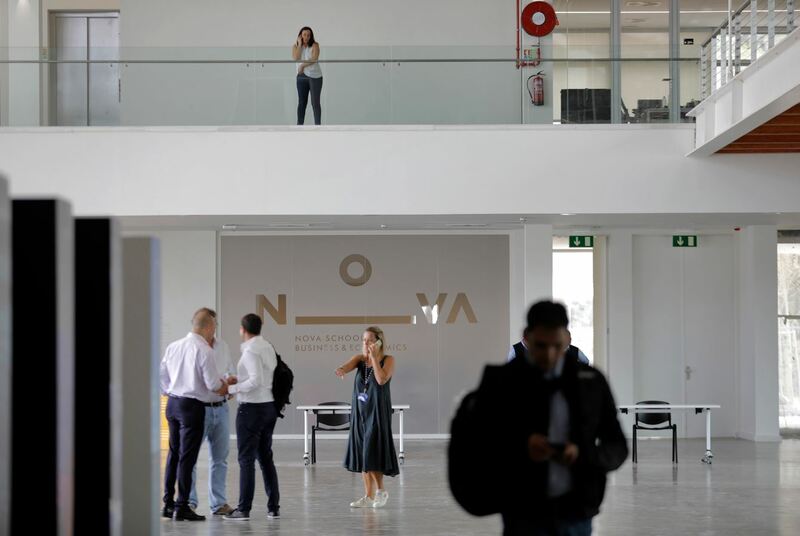 Lisbon’s universities Católica Lisbon School of Business and Economics and Nova School of Business and Economics maintained their positions at the top 30. At the national level the big winner is Católica, coming in 28th place in the ranking (it ranked 26th last year). This institution has been leading FT’s competition for more than a decade, and it was the first Portuguese university to ever integrate the Financial Times list. Nuno Fernandes outlined the “quality of education” at Católica and how the school is “helping students achieve outstanding careers”. After Católica, comes Nova SBE, which has lowered from 25th last year, to 30th this year. “We are at the top 30 Management Schools in Europe. Nova SBE’s demand quadrupled over the last seven years, and 40% of those applying are international students”, Daniel Traça, dean of Nova SBE, noted. ISCTE Business School, jumped from 80th to 63rd this year. “Many things have promoted this international approval, but we can’t forget that IBS is the only public management school in Lisbon which is internationally recognized”, the dean of the institution defended. Immediately above this last one comes Porto Business School, in 62nd in the ranking. After France (25 universities), the United Kingdom (7) and Belgium (5), Portugal is the country with the highest representation on FT’s list. LSE is leading the ranking, just like it had been previously. In second place is HEC Paris, and Insead in third, jumping from fifth place last year. Which one has the best Master? Besides classifying the universities, the Financial Times also organizes lists with the top-notch MBA’s, Executive MBA’s, MAster in Management and education programmes for executives. As for the first and second categories, Católica and Nova SBE share the best classifications in the country, standing at 22nd place in the MBA, and 54th place in the Executive MBA. Why? Because these programmes are the result of a partnership between both universities. IBS comes on 57th and Porto Business School is 58th. As for the Master in Management, Católica and Nova SBE are 24th, and IBS is 65th. Finally in terms of executive education Católica is 25th, Nova SBE 27th, IBS is 41st and Porto BS is 34th.